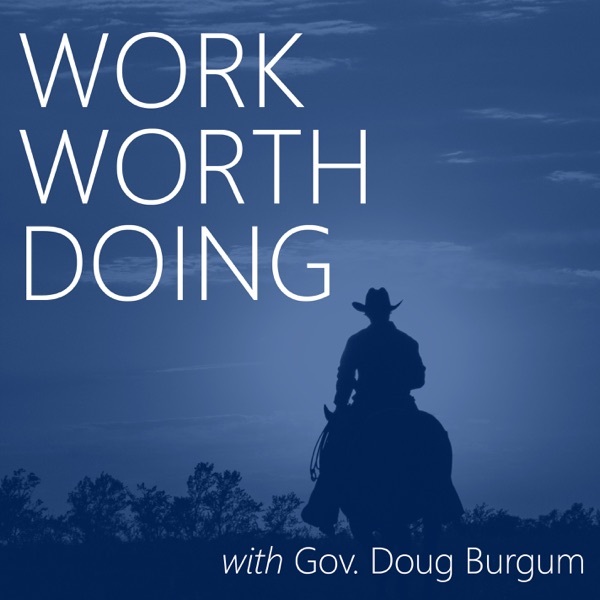 Welcome to Work Worth Doing, hosted by North Dakota Governor Doug Burgum. Theodore Roosevelt said, “Far and away the best prize life offers is the chance to work hard at work worth doing.” On Work Worth Doing, we tell the stories of people across North Dakota doing exactly that. North Dakota's wide variety of landscapes provides a friendly home for a diverse group of wildlife. Its abundant natural resources have instilled a culture of conservation and a love for hunting and fishing that spans generations of North Dakotans. Terry Steinwand, director of the North Dakota Game & Fish Department, joins Gov. Burgum to talk about what the department does to manage these natural resources and work alongside the state's hunters and anglers. For the first time in recorded history, there are more jobs available in the United States than people seeking jobs. For North Dakota, that means the No. 1 barrier to growing our economy is a workforce shortage. Michelle Kommer, Commissioner of the Department of Commerce, joins us to discuss what North Dakota is doing to address our workforce challenge. North Dakota's natural beauty is perhaps best encapsulated by our parks ecosystem. As director of our Parks and Recreation Department, Melissa Baker is responsible for taking care of these special places and making sure that visitors can enjoy the splendor of our state. Snow plow drivers are the heroes of the winter in North Dakota. Governor Burgum joins Craig Sperling, a plow driver for more than three decades, to learn how a statewide fleet of drivers clears thousands of miles of roads after every storm. He also chats with Tom Sorel, director of the ND Department of Transportation, on the future of transportation. As our Chief Information Officer and director of the Information Technology Department, Shawn Riley is working to make sure the state is equipped for today and prepared for tomorrow. On this episode, we talk about cyber security, technology in schools and working as one across state government. Ted Roosevelt V, conservation advocate and great-great-grandson of our nation’s 26th President, has recently turned his attention towards a project in North Dakota: the Theodore Roosevelt Presidential Library. He joins us to discuss the legacy of TR in North Dakota and the future of this project. Leann Bertsch, director of the North Dakota Department of Corrections and Rehabilitation, has received national attention for her work on prison reform. She joins us for our very first episode to discuss how her department is making better neighbors.